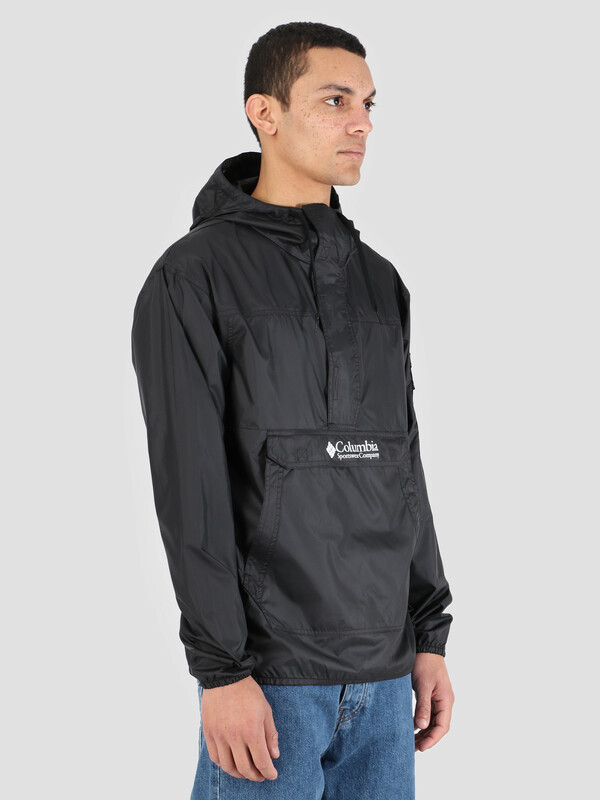 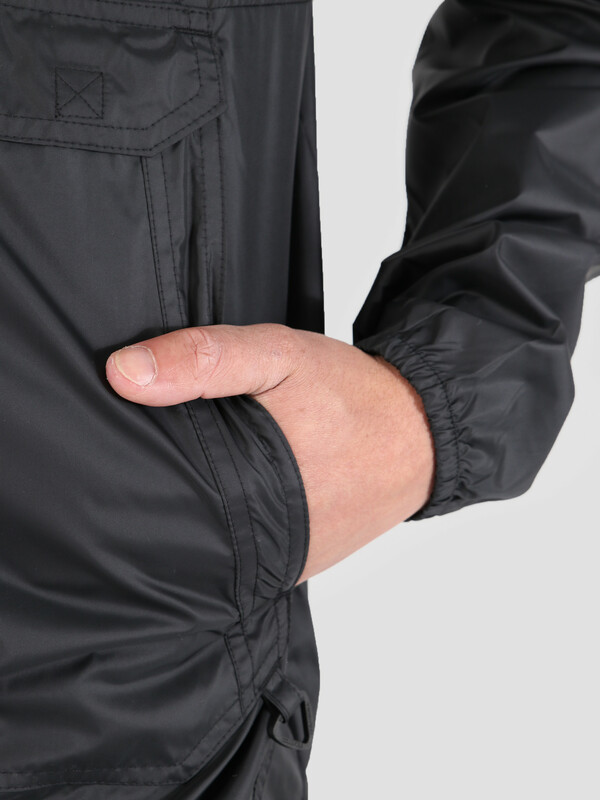 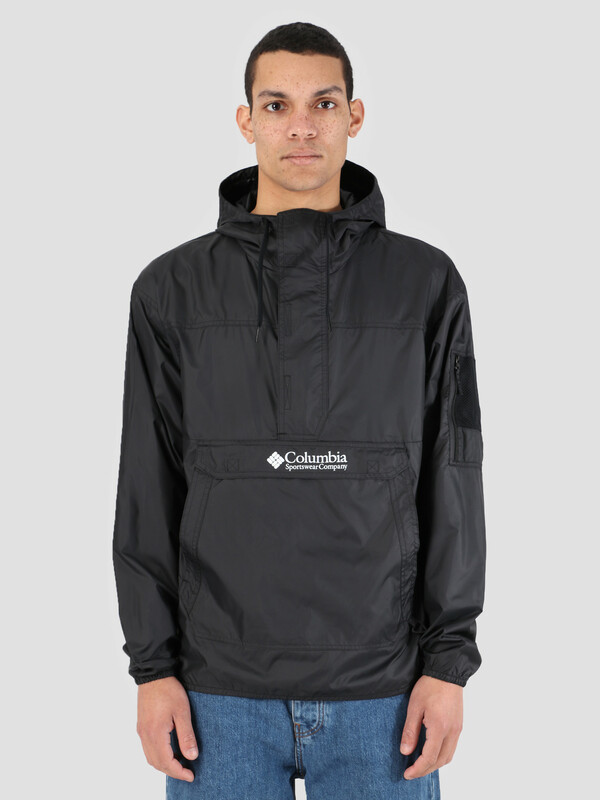 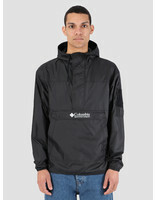 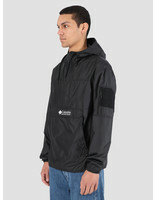 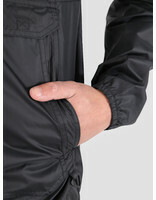 The Columbia Hood River Challenger Windbreaker in black. 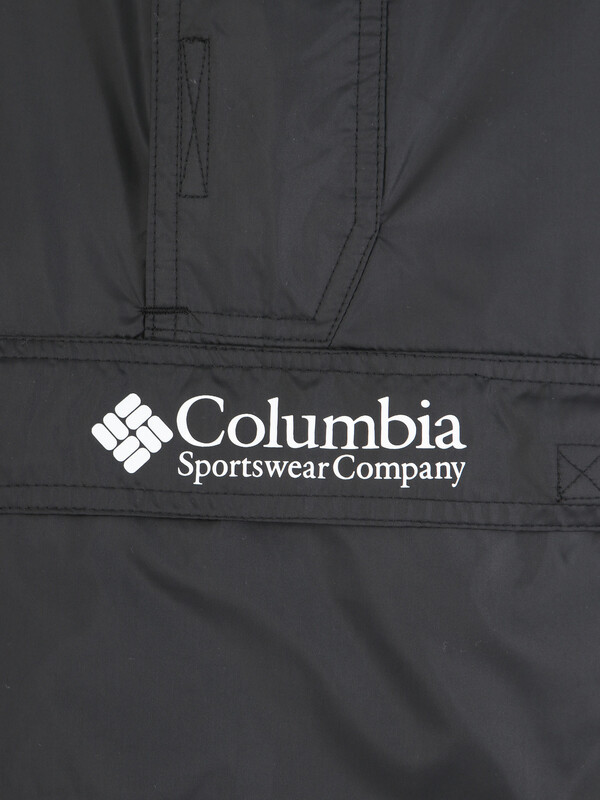 The branding can be found on the pocket flap on the front pouch of the jacket, which also has entry holes on both left and right sides. 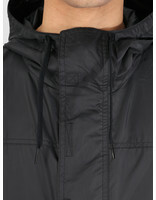 A velcro enclosure runs from the neck down to the middle. 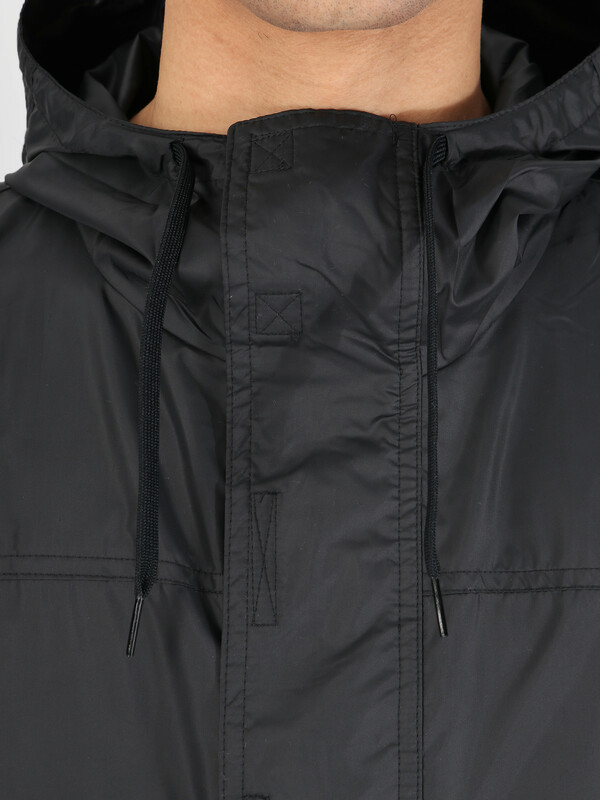 The hood is adjustable by using the cords which stick out by the neck. 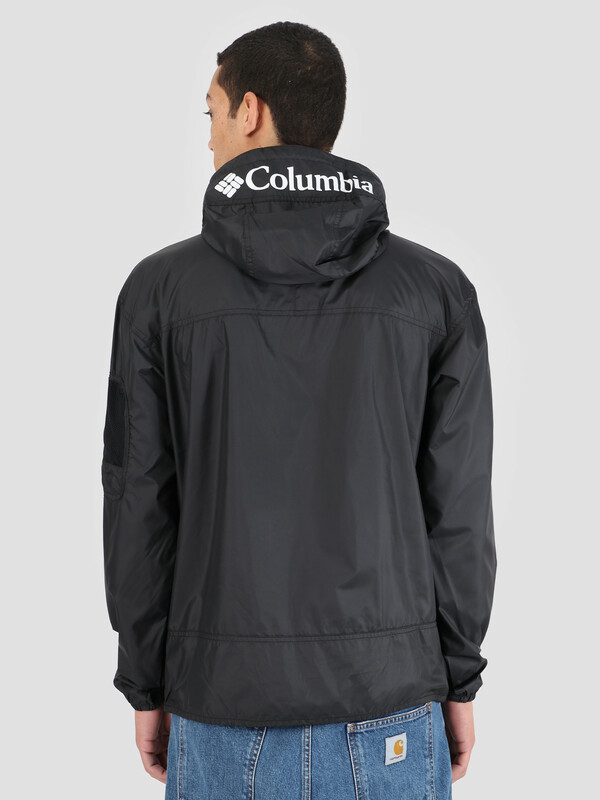 The hood also showcases branding on the tip. 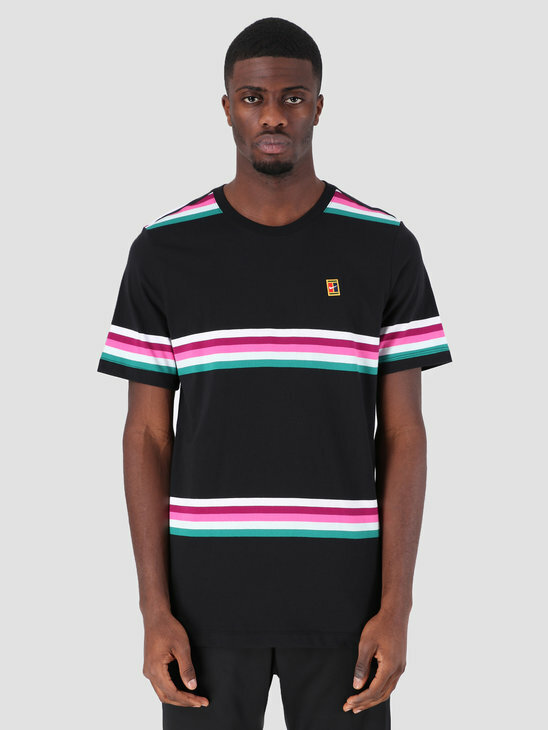 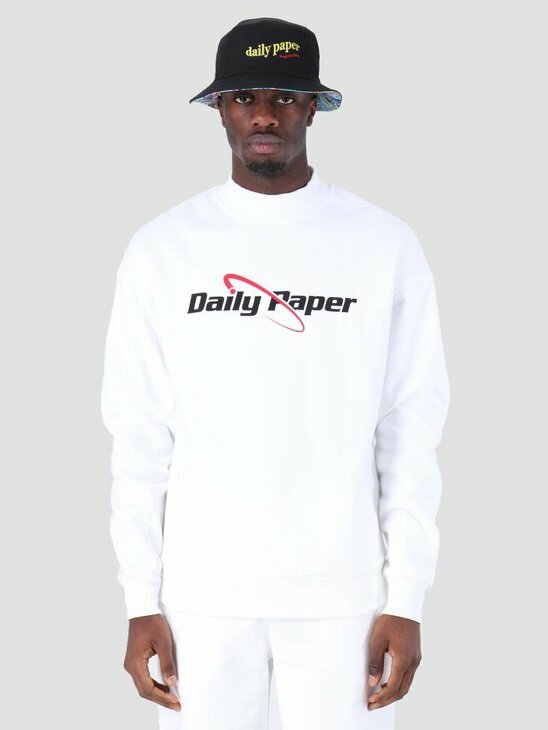 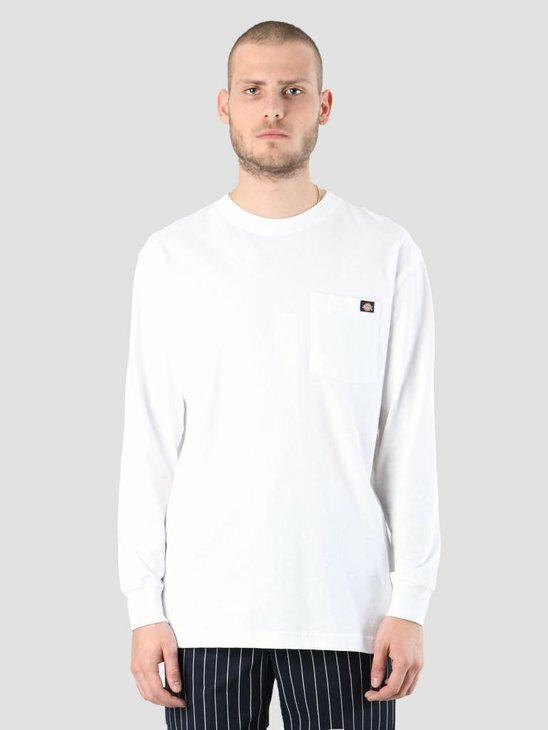 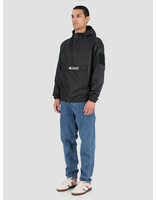 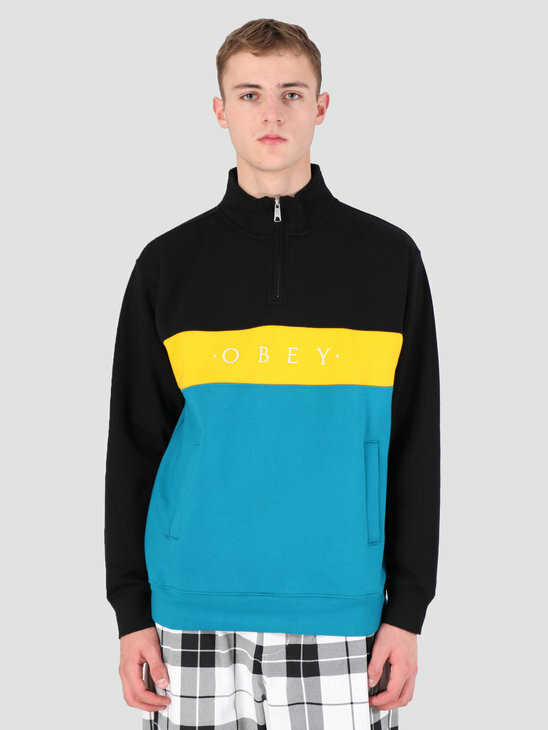 The material is made out of 100% polyester and the fit is regular.